Delivered to your door, anywhere in the UK. At The Memory Booth our mission is simple; Have fun and create memories. That’s why we created The Memory Booth - A unique twist on party photo booths. 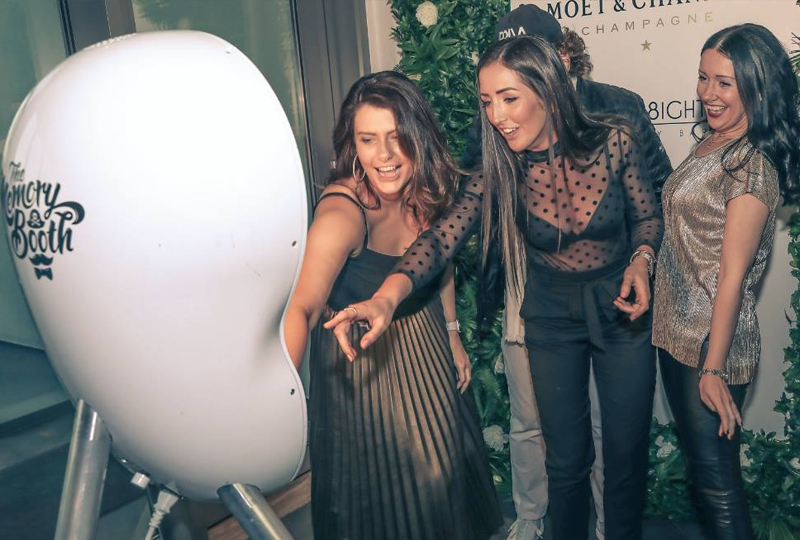 Our self run, open air photo booths are delivered and collected from your door, with no need for an attendant and no limits on time or usage. They’re petite and easy to set up. They really are the ultimate sleek and unique party accessory. We can send a photo booth to anywhere in the UK. Use it til your heart is content, then when you’re done we’ll come and get it. All for £300.